Looking for hearing aids in Tamworth? Dove Hearing Lichfield are leading suppliers of hearing care and specialist hearing equipment in the Tamworth area. Our business is independent and family run and this enables us to give you an incredibly high level of service, with a personal touch. 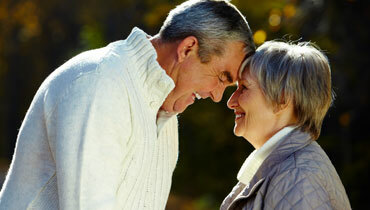 Why buy hearing aids from Dove Hearing? Hearing loss can severely affect your life, making it harder for you to communicate and creating a barrier between you and others. The remedy to a large majority of hearing problems is the use of a hearing aid and this returns your hearing with cutting edge technology and designs. Here at Dove Hearing we’re experts at matching our wide range of hearing aids to your specific needs, providing you with tailor made hearing solutions. We know that buying hearing aids can be a daunting process so our professional and patient staff can offer you any advice you may need at our Lichfield office or in the comfort of you own home. Hearing aid technology has developed rapidly over the past few years and we can now offer hearing aids which can filter out unwanted sounds, be completely invisible and custom made hearing aids. We’re affiliated with a wide range of well known brands including Phonak, Widex, Oticon, ReSound and Starkey and this enables us to supply you with the highest quality hearings aids available. Our services stretch far beyond the initial purchase of your hearing aids, as we also offer a comprehensive aftercare service - and even a 30 day money back guarantee! If you would like to learn more about our hearing aids then please call in to one of our centres located in Stoke-on-Trent, Burton upon Trent and Lichfield. Our team will be on hand to advise you on the correct hearing aids for your requirements. Alternatively, give us a call!